Something that surprised me on Cultural Routes was my interest in art. The thing that sparked my interest in many pieces was learning about the stories they tell. Before coming to Europe, I had never taken the time to appreciate the thought and work that is put into each masterpiece. Now, the stories behind the paintings and the sculptures are what draw me in and impress me the most. 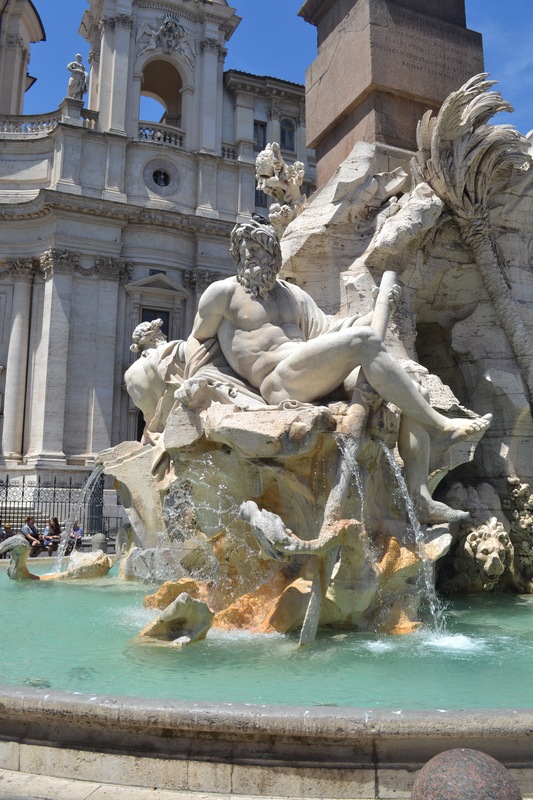 One of my favorite sculptures was the Fontana dei Quattro Fiumi in the Piazza Navona in Rome. 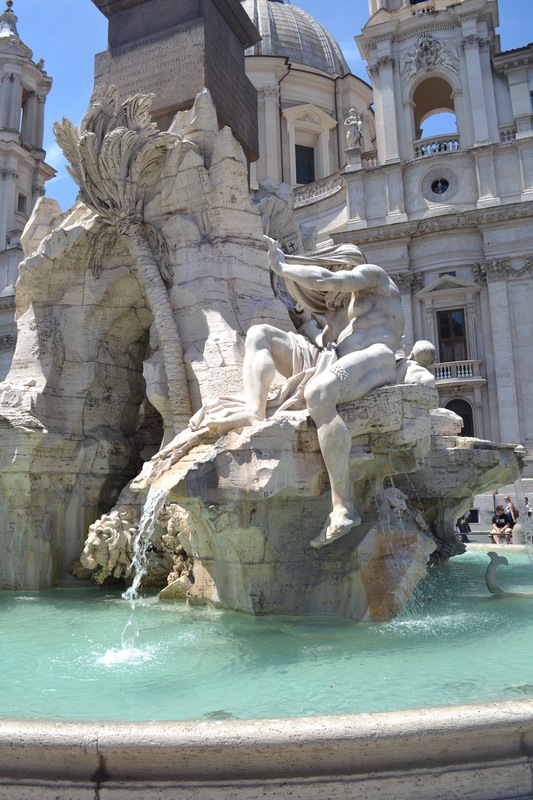 My team first stumbled upon the fountain when we went to visit Piazza Navona. At first it looked like any other pretty fountain. We walked around it once admiring the artwork and impressive sculpting skills. The fountain has four people at the base with various plants and animals surrounding them and a tall Egyptian obelisk on top. At first glance, the fountain is impressive and interesting. Any other day I probably would have walked away after taking a couple pictures, but instead I wanted to know more. After asking each other a couple questions about the fountain, we decided to look up what the fountain was supposed to represent. 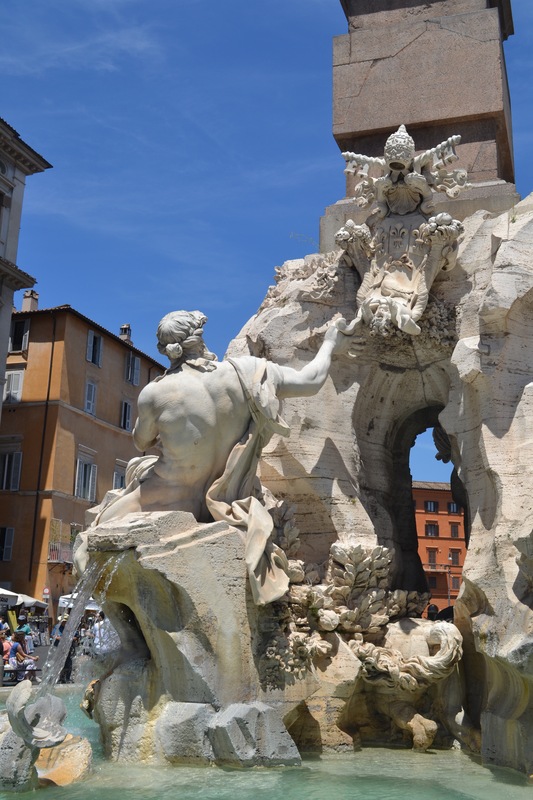 The Fontana dei Quattro Fiumi, or Fountain of the Four Rivers depicts the four major rivers of the four continents, represented by their corresponding river god, through which the Pope’s influence had spread – the Nile representing Africa, the Danube representing Europe, the Ganges representing Asia, and the Rio de la Plata representing the Americas. Each of the gods is surrounded by various plants and animals to indicate their origin and tell the story of the god. The Nile’s head is covered in cloth to symbolize how no one knew the exact source of the Nile at the time. The Danube god is touching the Pope’s coat of arms since it is the largest river closest to Rome. The Gagnes is carrying a long oar to symbolize the river’s navigability. Finally, the Rio de la Plata is sitting on a pile of coins. The pile is meant to symbolize the riches the Americas could give to Europe. This god is also being scared by a snake, showing rich men’s fear of losing their money. All the gods are looking at the central obelisk to emphasize the Pope’s power. Although there are far more details that I am leaving out, just those facts alone brought the fountain to life and ignited my interest. The story and meaning behind the fountain is what makes it so interesting to me. After reading about its meaning, our group spent another fifteen minutes circling the fountain to take in every detail. Every aspect of the fountain came to life before my eyes and I wanted to learn even more. 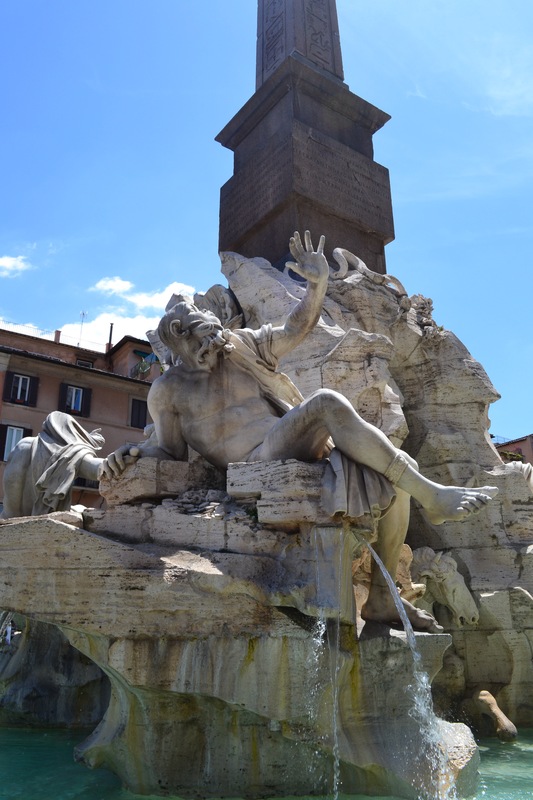 Visiting sculptures like this and touring various art museums became so special to me in Rome because I finally dove in and invested in the stories behind them. Learning about these stories not only allows us to better understand the art, but it also allows us to better understand the people who made them. I am so thankful for the opportunity to see some of the most famous sculptures and pieces of art in the world and I hope I get the opportunity to do it again someday soon.